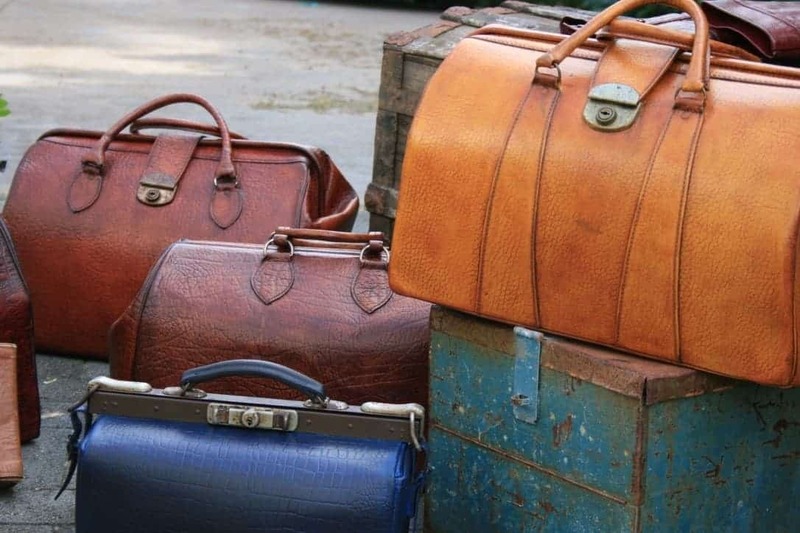 looking for some leather luggage oozing vintage swag? The Gladstone Bag is experiencing a revival as fashionistas and vintage leather lovers everywhere celebrate the iconic design. Gladstone bags make the perfect overnight bag. The Gladstone Bag was created in the mid-19th century by J. G. Beard, a London leather dealer, who named it after William Ewart Gladstone, the British Prime Minister of the time. 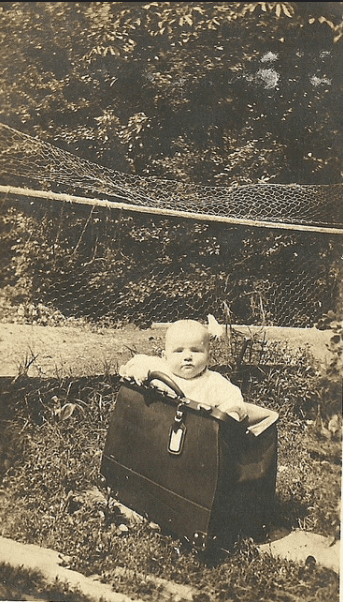 Usually made of very strong leather, the Gladstone bag was a type of suitcase. Built on a rigid frame, with a large heavy base, the original design opened wide into two sections and was tied with leather lanyards to keep it closed. 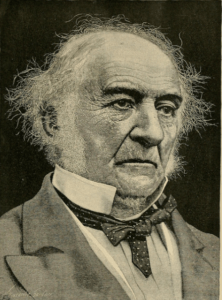 William Ewart Gladstone was elected Conservative Member of Parliament for Newark-on-Trent in 1832. He came to serve four terms as Prime Minister of Great Britain and was known for his love of travel. Very much a keen admirer and supporter, Beard name his invention after William Gladstone. Believed to have been based on a French design, these bags gained popularity around the world with makers developing design variations to suit an array of traveller demands and the requirements of the many diverse professions that adopted them. Like all design icons, the ever popular Gladstone Bag delivers in both form and function. Opening widely from the top with hinges that locked open, professionals and travellers alike appreciated the continuous and unhindered access to the content within. The heavy base gave the bag stability which prevented it tumbling over and the contents spilling or being damaged. 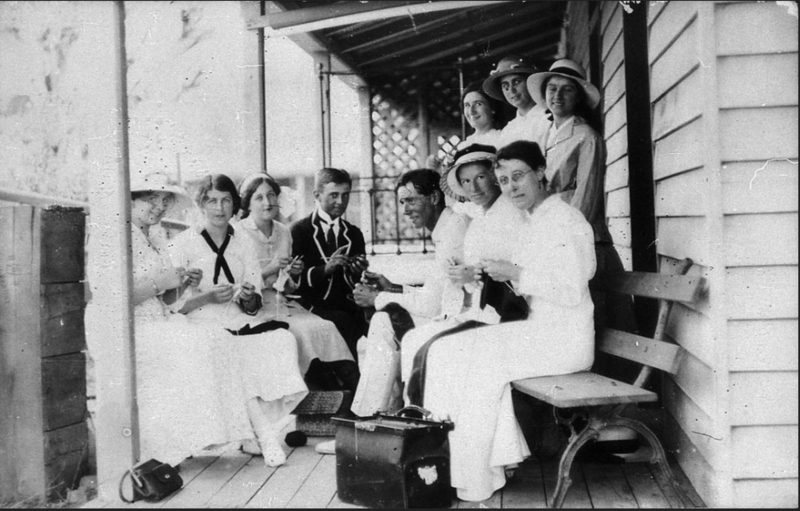 This meant that the Gladstone design was readily adopted by doctors (and later nurses), who would conduct home visits with a portable stash of medicinals neatly packed in the bags. 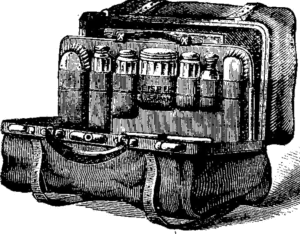 Later a ‘surgeons bag’ was developed. It included draws that acted like pull out trays and enabled drugs, dressings and instruments to be carefully compartmentalised. 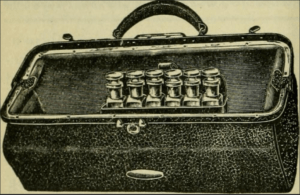 Originally taken up by wealthy professional men such as businessmen, doctors, lawyers and politicians, the Gladstone Bag was later used broadly by men of varying trades; at first to carry their tools and later to carry their lunch as well. By the 1950’s the mission brown Gladstone Bag was familiar to almost every household in Australia as it carried Dad’s ‘crib’ (lunch), fishing tackle, tools, papers and just about everything else. 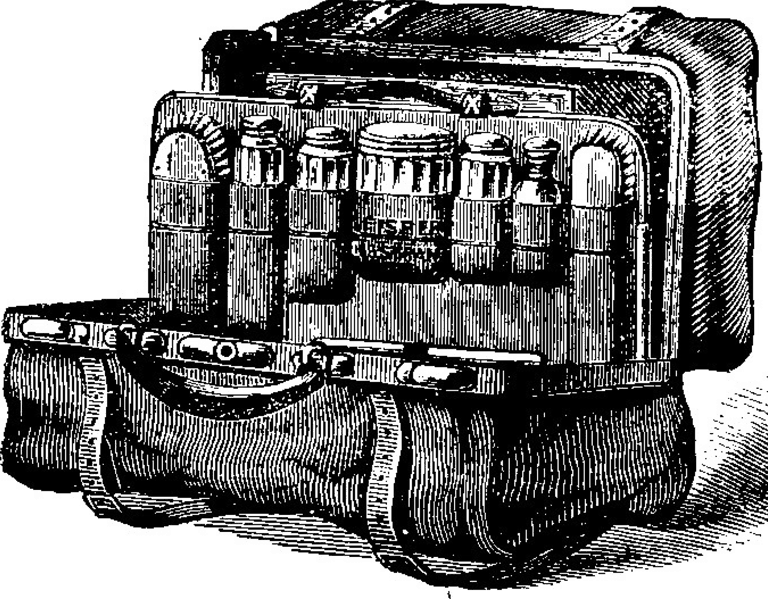 In Victorian times, gentile folk would travel with carpet bags and Gladstones. Then, as they are now, Gladstone Bags were considered high fashion and a statement of refined style. Referring to the Gladstone in the iconic 1891 book and film The Picture of Dorian Gray, Oscar Wild says ‘What a way for a fashionable painter to travel. A Gladstone bag and an Ulster’. 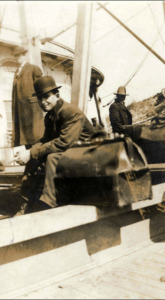 In 1912, as the Titanic began to sink, it is believed that staff on board the ill-fated ship, stuffed Gladstone bags with precious jewels, valuables and cash from the safe deposit boxes of their wealthy passengers. It’s thought that their intention was to prevent the valuables from spreading across the ocean floor by keeping them contained in the bags. Most likely, the ship’s pursers probably planned to return the precious cargo to their owner once safely back in New York. Although, sadly that did not eventuate, to a certain extent, their plan worked. 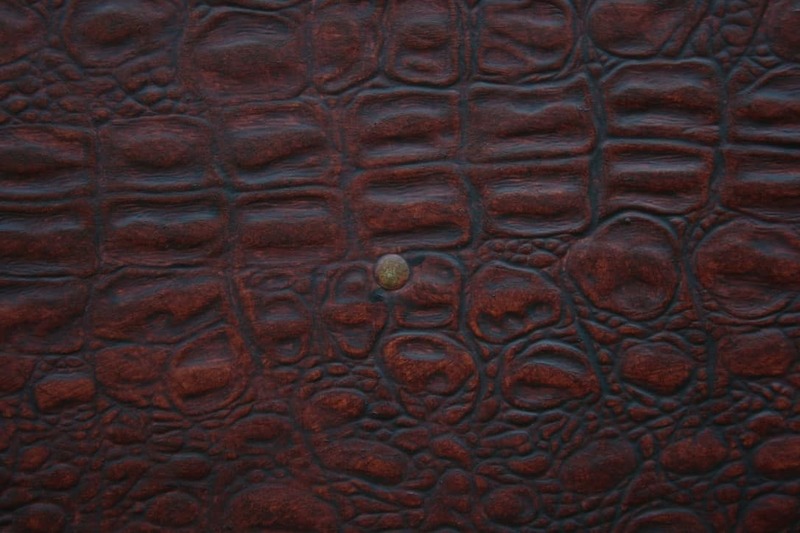 The tanning methods of the time rendered leather resistant to the ravages of the oceans microorganisms. Those artefacts later recovered from within the Gladstone Bags that had rested on the ocean floor for decades, were found to be in relatively good condition. The perfect holdall, the Gladstone Bag serves a group of knitters. In 1973, the Metta Catharina von Flensburg, a Danish brigantine that sank in Plymouth Sound in 1786 was salvaged. A cache of Russian reindeer hides was recovered. These hides are now exclusively for the use of GJ Cleverley who makes the finest shoes and bags, including a signature piece; a Gladstone Bag with a racing green goatskin lining which retails for £4,500 – no less! Made to stand the test of time. 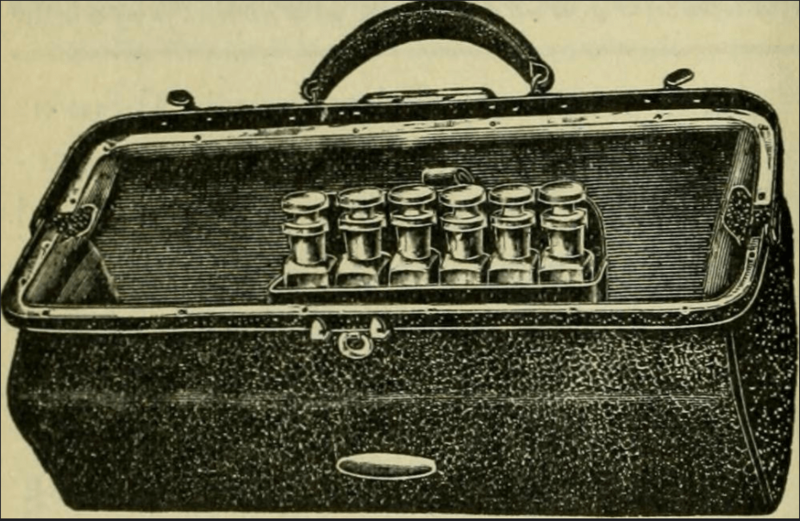 Gladstone Bags continue to be a favourite amongst today’s medical and legal professionals. Made new by leather luggage and fashion houses around the world, the design perpetuates for its style, function, tradition and nostalgia. Nowadays, the Gladstone Bag is no longer exclusively for men. It is highly sought after by women who appreciate the iconic style of this supremely collectable fashion accessory and find great purpose for this wide-mouthed bag. No longer unusual to see a woman with a Gladstone Bag on her arm, these bags have been reclaimed and repurposed as the ultimate feminine town and country accessory. These sturdy hand built bags have had a long career in movies that continues to this day. They conjure such warm feelings of style, industry and nostalgia that they have featured in countless movies. Somehow, they communicate the capable and purposeful intent of the carrier. It’s no doubt the long, professional career of the Gladstone Bag, and the many exquisitely important documents, decrees, papers, instruments, love letters and precious treasures they have reliably transported, that makes them such an aspirational possession for our time. Today, Gladstone Bags lend their vintage chic to home interiors, retail spaces, film and television sets as well as being used as functional handbags, toolkits and travel luggage. 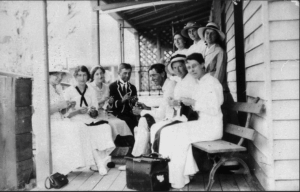 The interior lining is often worn and sometimes stained or ripped. For most enthusiasts, given the prohibitive cost of relining, the condition of the interior is secondary to the design credentials and beauty of the outer leather shell. 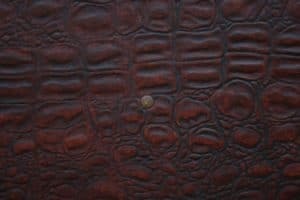 At Leather Hero, our focus is on getting the best out of the leather. We clean, sometimes recolour, tint, condition and topcoat our Gladstone Bags. In most cases, we leave the interior untouched, partly because we find interesting historical titbits like the names and addresses of previous owners written there. We prefer to preserve those little tokens of history so that the bag goes on to tell it’s enduring tale well into the future. 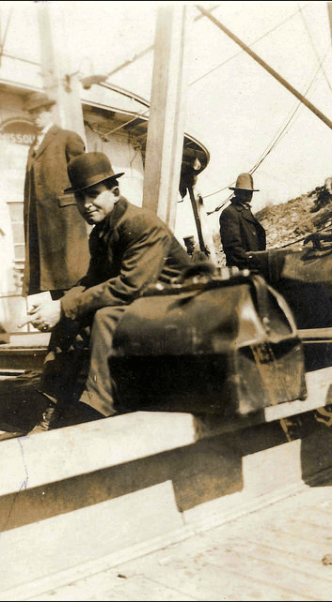 If you have knowledge or a story about Gladstone Bags, please share it with us. You are welcome to make a purchase enquiry at any time. Contact us for images, dimensions and a description of the operating functionality of the bags we have in stock.